Sam Mazzeo and I founded Wilkinson Mazzeo, a law practice dedicated to providing legal support to causes and creative businesses, after recently leaving our posts as in-house legal counsel at the nonprofit Invisible Children. The experience and insight we gained while working together at IC prepared us to advise clients on business and nonprofit formation, intellectual property, contracts, labor and employment, board-building, and general counsel. Among lots of other legalisms. 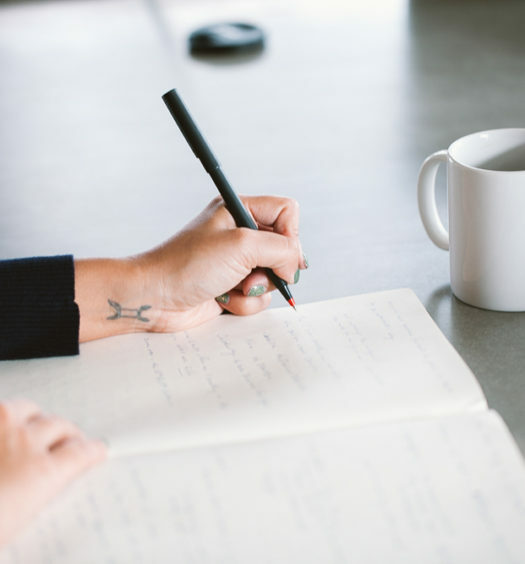 You might be surprised to find that you already have “common law” rights to your copyright(s) and trademark(s), but in order to fully protect your brand you should register them with the US copyright and trademark offices. Remember to ask permission and enter into licensing agreements when you use the intellectual property (like copyrights and trademarks) of other organizations and individuals. This is important, not only legally, but to protect the integrity of your brand. As a general rule of thumb, avoid entering into contracts with your employees. Instead, issue a non-binding offer letter with an attached job description. This puts the employee in the “at-will” category, which allows you or the employee to part ways at any time without legal repercussions. Nonprofit corporations are required to abide by the laws of the state in which they are incorporated. For example, in California, this means having an active board of directors, maintaining meeting minutes, adopting certain policies, and keeping up with state filings. 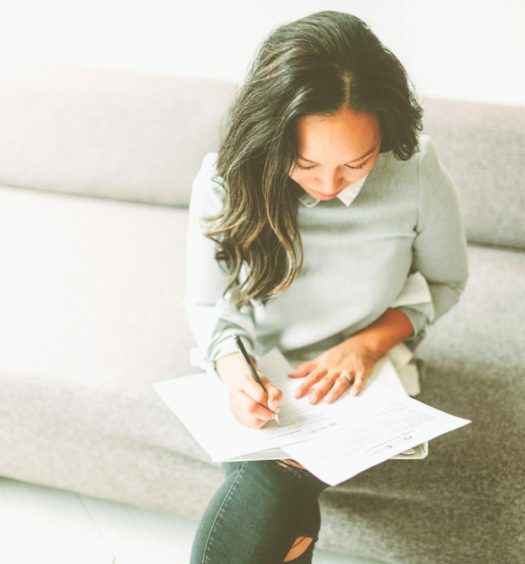 Additionally, to maintain your nonprofit’s 501(c)(3) (tax-exempt) status with the federal government, it must be operated exclusively for tax-exempt purposes and none of its earnings should benefit a private individual. Also, your 501(c)(3) nonprofit should keep political lobbying activities to a minimum and should avoid participating in political campaigns altogether. Other 501(c) structures are better for political activity. The task of building a board of directors can seem overwhelming. At Invisible Children, when we set out to double the size of IC’s Board, we created an advisory council first. It was a no-brainer for IC’s most influential supporters to join the advisory council because it was ambassadorial in nature, a great networking opportunity, and less of a commitment. It enabled our top supporters to get to know the organization. As a result, joining the board became a no-brainer for our top board member prospects. Worrying about the risks associated with running an innovative nonprofit can be distracting from the mission. Obtain help from attorneys who can advocate on your behalf, shield you from a lot of headaches, and save you money in the long run. Disclaimer: The information in this article is presented for informational purposes only, and should not be taken as legal advice. Before acting on any information presented in this article, you should consult an attorney regarding the facts of your specific situation. We would love to hear from you, so please feel free to contact Wilkinson Mazzeo for a consultation. 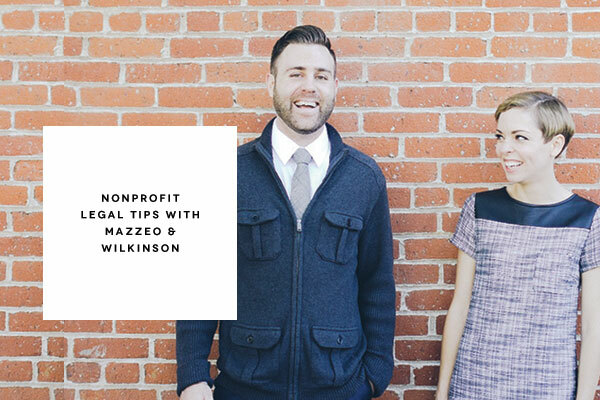 Wilkinson Mazzeo is a law practice dedicated to providing legal support to causes and creative businesses founded by Emily Wilkinson and Sam Mazzeo. At Conscious, we are eager to learn and to learn more so that the knowledge we gain is used to improve our organizations and the lives of those around us. We are setting out to collaborate with experts in various fields to provide educational how to's and tips to help you. 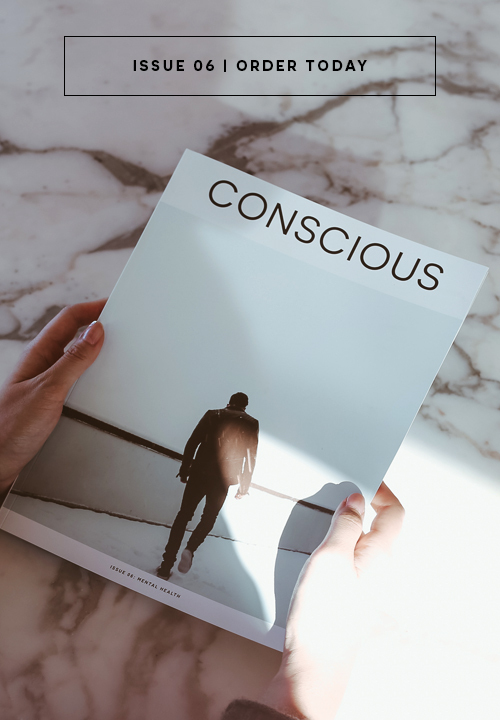 You can explore more of Conscious stories via consciousmagazine.co and pick up a copy of Conscious Magazine in print when you subscribe via our Conscious Shop. Guest Contributor. Emily Wilkinson currently acts as Managing Partner of Wilkinson Mazzeo, a law firm that provides legal support to causes and creative businesses. At her previous gig as General Counsel & Corporate Secretary at Invisible Children, Emily became a connoisseur of nonprofit and creative legal affairs. She managed and protected their legal rights when they released the most viral video in history (cc: KONY 2012), and before that, she punched multitasking in the face by building the organization’s legal and development departments. And before that, she graduated law school in the top of her class while directing a documentary in Cambodia that aired on PBS. She’s been balancing her love of law with her love of storytelling and filmmaking ever since. Other loves include writing music, bike riding, not dressing like a lawyer, working on her car (a ‘71 VW Kharmann Ghia named Tigerlily), and hanging with her twin sister (named Rose). Being the incredibly fair and impartial lawyer that she is, she loves all of the above equally (with liberty and justice for all).